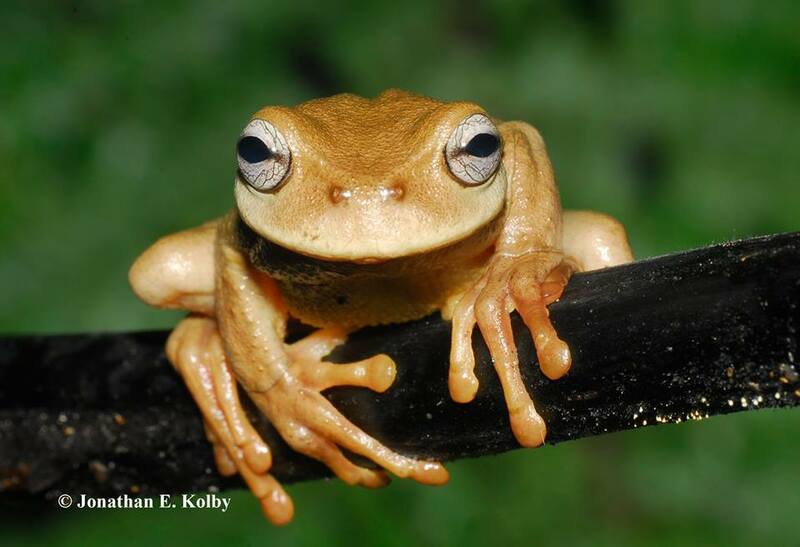 Fun Fact: In 10 years, we have NEVER heard this frog croak! 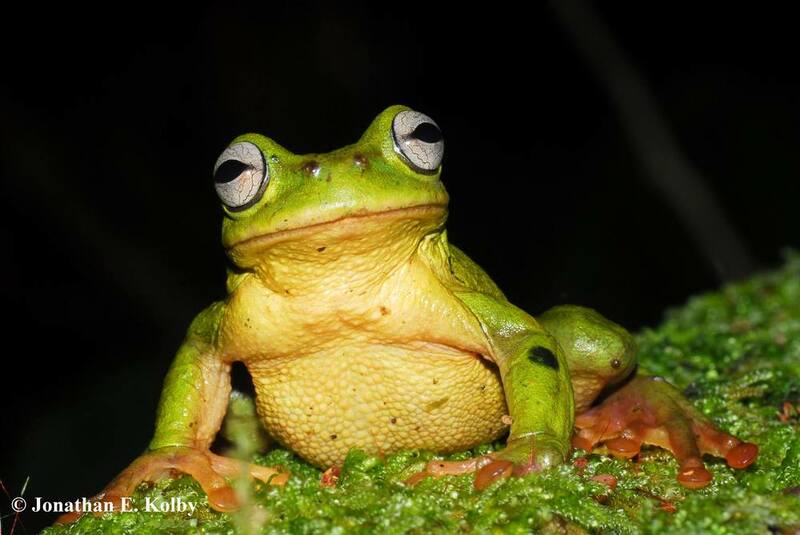 It's the only endangered species in Cusuco whose call remains unknown to science. 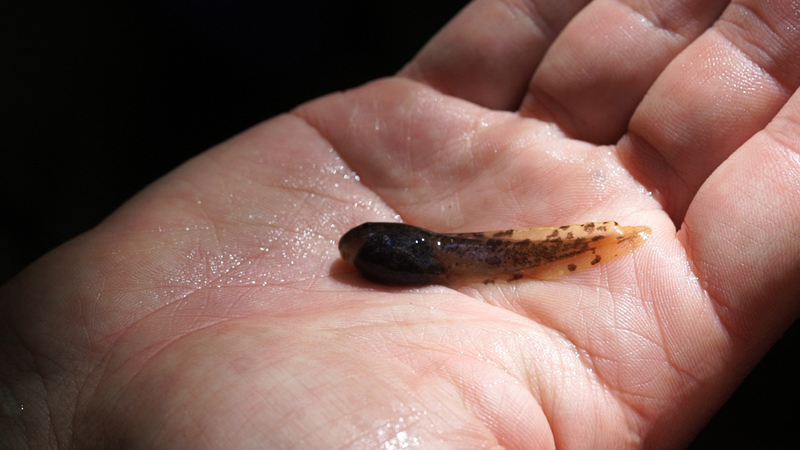 Adult males of this species have a large "second thumb", which is actually a fleshy appendage that hides a bone spike used in territorial combat with other frogs. 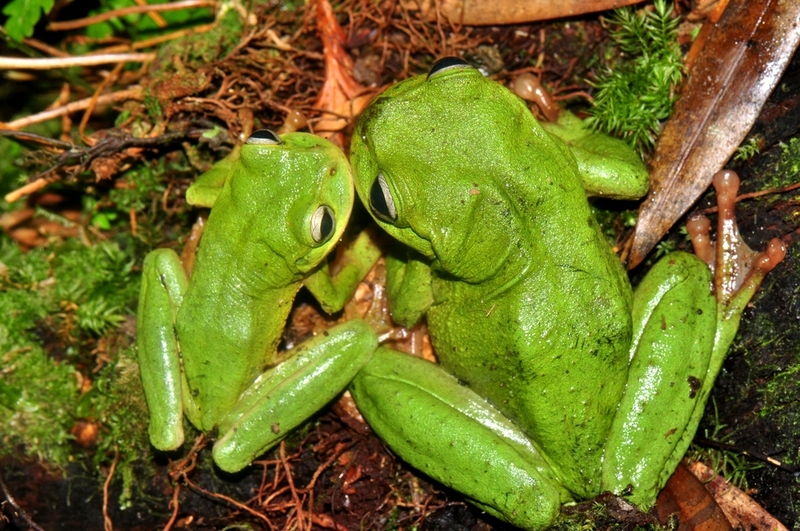 There are two color morphs of this species: some frogs are green while others are brown. 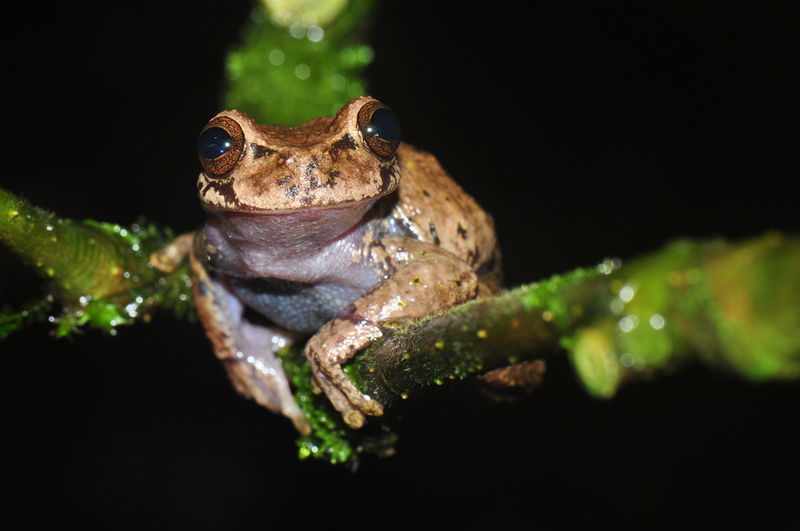 Fun Fact: Although these frogs live up in the trees, they will sometimes dive to the ground, quickly dig a hole, and hide inside to escape a predator. Not exactly what you would expect for a "tree" frog! Also, their croak sounds a bit like a duck's "quaaaaack!" Some of these frogs have incredible patterns of black and lime green speckles to blend in with the vegetation. 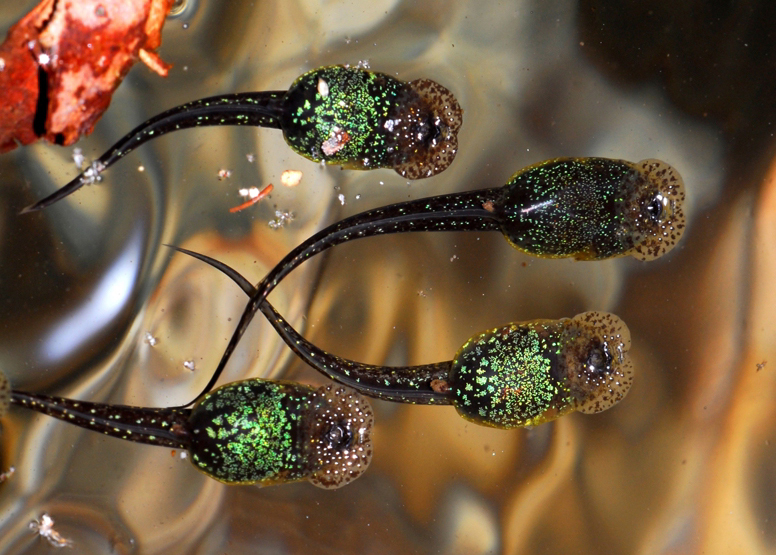 Fun Fact: Tadpoles of this frog swim UPSIDE-DOWN! No one knows why....(but we're studying this right now, so stay tuned!). Some adults are very particular with where they sit in the forest and can often be found sitting on the same exact rock or tree branch for several nights. Their croak sounds very much like a dog's squeaky toy.